Anyone know how to migrate exchange 2016 mailboxes to office 365 ? any help would be apprecaited ! 1. Hybrid Deployment and Remote Move Migrations - overkill for small organizations. 2. IMAP Migration - moves only emails, no calendars, no tasks etc but sometimes it can be useful. Another great tool would be the Exchange Deployment Assistant. Just answer few questions and it should give you the guidance you need. 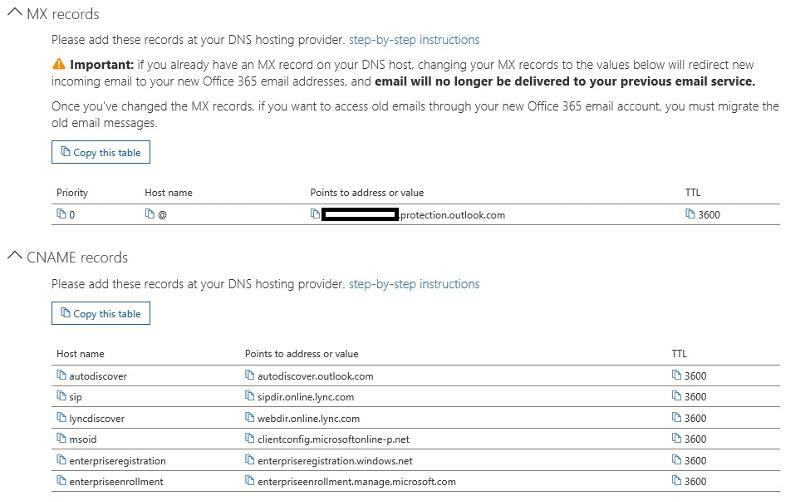 thx for your useful information, just wonder wonder how do i move my current domain to Office 365 ? it is has to be domain.com.onmicrosoft.com ? 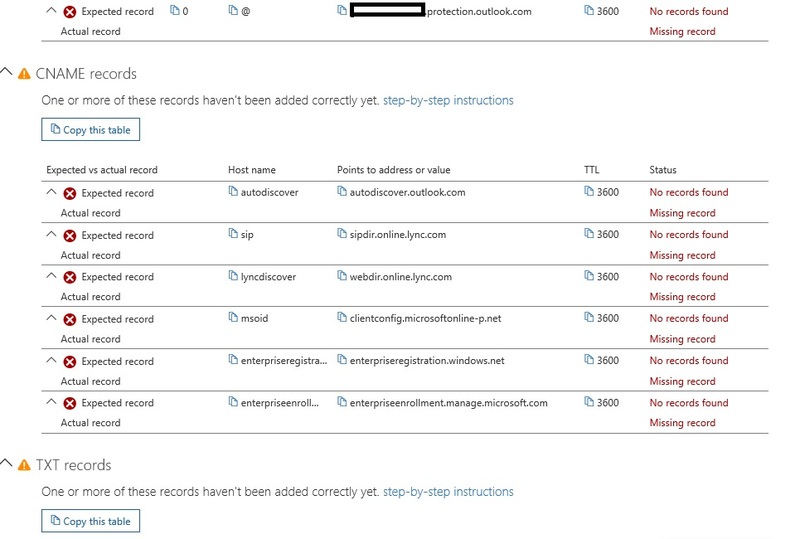 thx for your information, and now i'm getting below issue, i have my own public DNS server, it is in window 2012, and i have added all the required records it asks me to, but when i click on verify, it shows "No records found, Actual record & Missing record" you can see the bottomm screenshot of my records in dns, any idea ? These information are really helpful thx a lots !